Progressive Chat: Who run the world? Girls! Sec. Clinton and Sen. Warren together in Ohio. POC POD Episode 33 is out! We talk about the firing of former Secretary of State Rex Tillerson and Deputy FBI Director Andy McCabe. We catch up with Stormy Daniels and her ace legal team. We also begin to unravel the Cambridge Analytica scandal. Who run the world? Girls! Sec. Clinton and Sen. Warren together in Ohio. 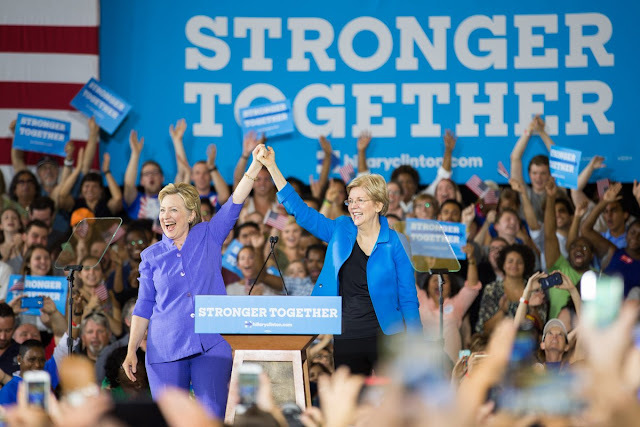 Hillary Clinton and Senator professor Elizabeth Warren held their first joint campaign event on Monday. It was a mutual love fest between the two. Both wearing similar shades of blue, grasped hands onstage in the grand corridor of the Cincinnati Museum Center at Union Terminal, waving to the estimated crowd of 2600. Sharing a populist tone as they sought to address the anger over income inequality that has swept the electorate while simultaneously skewering the Donald and reminding the electorate he's the perfect example of those contributing to the middle class’s economic woes. The event was the first time the two powerhouse dems campaigned onstage together in what many viewed as a test drive and part of Sen. Warren vetting for the VP spot. (We give Mrs. Warren and A+++++) They were united against the common enemy: Mr. Trump. Sen. Warren praised Mrs. Clinton’s advocacy for families and children, saying she had “steady hands, but most of all, she has a good heart.” But she also presented the presumptive Democratic nominee as singularly suited to defeat Mr. Trump. Clinton lavished a lot of praise on Sen. Warren, and went on to reiterate her economic plan. It was a potent one-two punch by two of most prominent women in the Democratic Party who are having way to much fun at The Donald's thin skin's expense. The event served a two fold purpose. 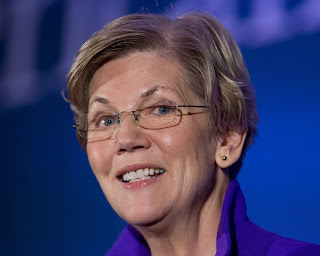 It allowed us to see the chemistry between the two women and brought Sen. Warren to the forefront of bringing along the liberal populist wing party to help expedite further party unification. Trump really said all those things and Clinton eviscerated him in a National Security speech. Fired Up and Ready to go! 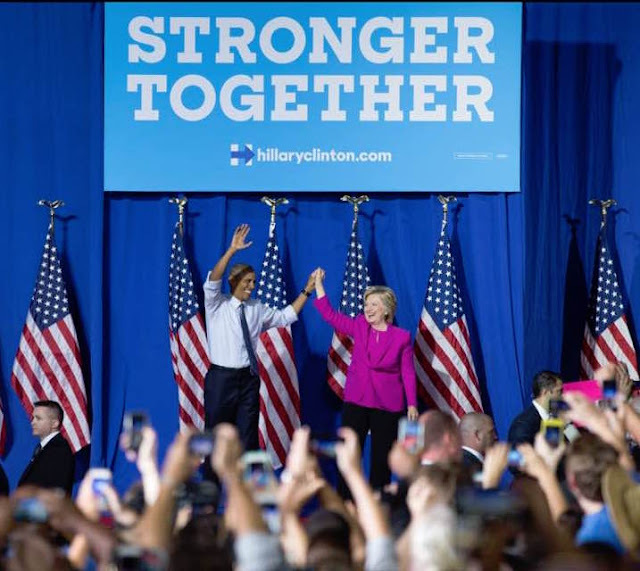 President Obama delivered a barnburner on behalf of HRC. Keep the conversation going on the Social Networks. Stay away from the thing thing! Republican Ana Navarro shuts down another Trumper. Trump had a meltdown about the Tax Day protests. Get your popcorn ready! Presidential Debates schedule released! Emma Gonzalez Powerful Speech at the March for our lives in DC.